The arbitration ruling in the Alex Rodriguez PED suspension was a big win for our old pal Commissioner Bud. It cemented his legacy. It proved he’s tough on drugs. What a remarkable turnaround for everybody’s favorite beleaguered clown. 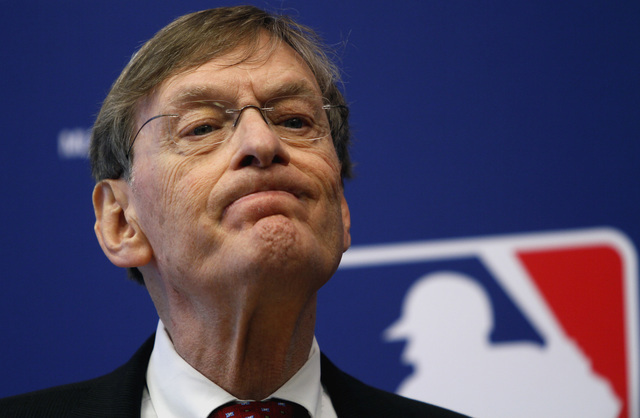 Ultimately, Bud Selig’s greatest weapon has been his ability to manipulate his image to appear an ineffectual dunce — picture him throwing up his hands in helpless resignation at the All-Star Game — when in reality he’s been a greedy, power-drunk, manipulative robber baron from the dawn of his baseball career. He looks like the great uncle you avoid at weddings because he’ll corner you and talk your ear off about Benghazi. He acts like Gerald Ford. He is like a Koch Brother — secretive, evil and mercenary. 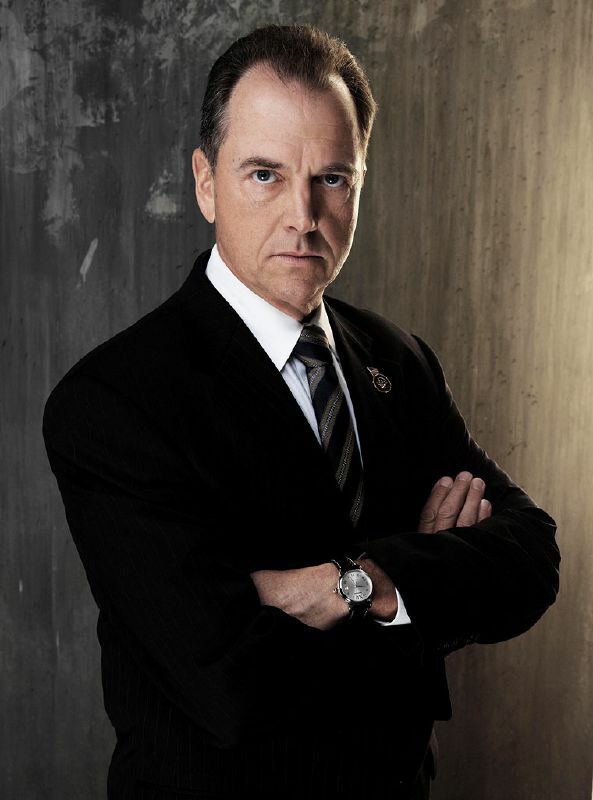 He’s President Logan from 24. And now he’s probably headed for the Hall of Fame for his decades of stewardship of the grand game and his single-handed vanquishing of the PED menace. How did we get here? It’s simple, really. 1) Take money earned from working for your daddy’s car leasing company and become a minority baseball owner. 2) Cry foul about the Milwaukee Braves leaving town for a larger market. Later have no problem attempting to hijack the White Sox to Milwaukee, moving the Seattle Pilots to Milwaukee, or supporting an untold number of owners who threaten to leave town to get fancy new publicly-funded stadiums. Make this hypocrisy your defining trait. 3) Along with fellow Great American Jerry Reinsdorf, lead the owners’ collusion scandal of the 1980s, breaking the law to falsely keep market costs down, out of a fit of pique that the players had won free agency and were using it to their advantage. Never admit to collusion despite mountains of evidence. 4) During your tenure as owner, guide your team to a 2136-2269 record, good for a .485 winning percentage. Make the playoffs just twice in 28 seasons. Never win a World Series. Enjoy stretches of eight straight and five straight seasons with losing records. 5) Lead a coup on Commissioner Fay Vincent because you and fellow hardline owners think he’s too favorable toward players (i.e. balanced and caring about the good of the sport and the league). Grow enraged because Vincent has some priorities other than making owners more money. 6) Fail upwards in to the position of acting commissioner after deposing the previous commissioner. 7) Participate in a war with labor fueled in large part by the bad blood stemming from the collusion you spearheaded, leading to a crippling work stoppage. 8) Cancel the World Series out of spite. 10) Strike lasting into the next season? No problem! Bring on the replacement players. 11) Need some good PR to make up for canceling the World Series? Hey, some guys hitting 65-70 home runs for a few years should do the trick. 12) Do not implement drug testing even when it is abundantly clear to a layman that a decent chunk of players are on PEDs. 13) Bury head in sand. Repeat. 14) Blithely threaten to contract two teams during a fit of pique, upset that players dare to want to make money for themselves. 15) Play favorites with ownership of multi-million dollar corporations, making sure that your pals own the teams you want, even if it kills baseball in certain cities. Allow owners into the league despite massive debt because at least they aren’t Mark Cuban and won’t make waves. 16) Start to consider that PEDs might be a problem only when a media-unfriendly black dude becomes involved. 17) Blame baseball’s rampant drug problem on the players’ union, not on a league that couldn’t have cared less or owners who greatly benefited from increased offense and publicity. 18) Take credit for baseball’s inevitable financial growth. Pretend it’s a key part of your legacy. 19) Overcompensate for being seen as “soft on drugs” by constantly and endlessly droning on about PEDs, even when it means that half of headlines about the sport you run are negative. 20) Produce and release The Mitchell Report, a worthless document filled with unsubstantiated innuendo libeling the players who earn you and your cronies millions. 21) Target a few players you don’t like for “special treatment” — dole out punishments inconsistent with a collectively bargained agreement. 22) Align yourself with, and pay handsomely, a motley crew of drug dealers, pushers, rats and thugs. 23) Instantly fire any “independent” arbitrator who rules against you. 24) After winning your looney crusade against Alex Rodriguez, go on national TV (60 minutes, because it’s the only show still around from your heyday, naturally) to crow about it and also to emphasize your buddy-buddy relationship with Drug Dealer #17. 25) Go on a 30-stadium farewell tour. Get booed at every stop. Never retire.